Beautiful and unique luxury condo for rent in St. Pete Beach, Florida. Only thirty miles from the Tampa Airport, our condo is nestled on Gulf Boulevard between Boca Ciega Bay and the Gulf of Mexico across from the Trade Winds Resort (see amenities below). This 'best of both worlds' condo features the peace and tranquility of Boca Ciega Bay as well as the white sands of the Gulf Beach. You can choose to relax by the Bay and see dolphins, manatees, and a wide variety of marine life, or you can cross the street and go to the Gulf beach and enjoy a tropical drink while you work on your tan. 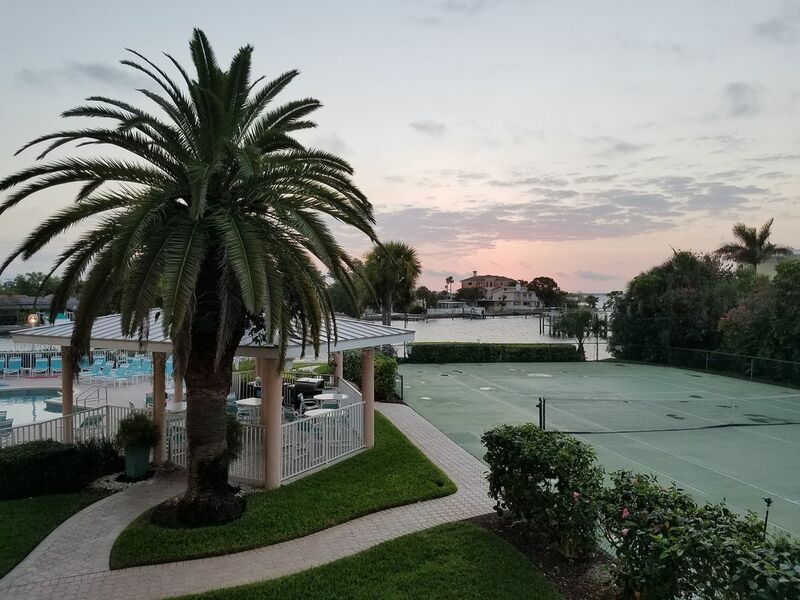 Inside the condo, the east-facing balcony can be accessed from the master bedroom or the living room where you will find a beautiful view of the sunrise over Boca Ciega Bay, while the west balcony provides a view of the sunset over the Gulf. Inside: air conditioning, washer/dryer in unit, 3 cable TVs, 2 VCR/DVD players, telephone, linens, ceramic tile floors, laminate wood floor, carpet and twenty four hour on-site management. Full kitchen including dishwasher, refrigerator, oven, microwave, dishes, utensils, coffee maker, toaster. Nearby: across the street is the Trade Winds Resort, which spans 18 tropical acres with paddle boats on the flower-rimmed waterways, four heated pools, restaurants, bars, beautiful white sandy beach with beach volleyball, cabanas and hammocks, four clay tennis courts, exercise room, child day care and childrens' activities.